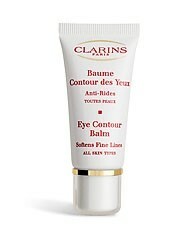 From the first signs of ageing, this nourishing balm revitalises and repairs the delicate skin of the eye contour. It smoothes the eyelids by restoring elasticity and works to minimises wrinkles, fine lines and crow's feet. In addition, light reflective micro-pigments give skin an even smoother appearance.